The UTM-60 training-imitation mine is one of several training mines used by the Soviet forces. The mine consists of the container, lid, connecting ring, UMV-60 fuze, signal cartridge, sleeve for attaching transverse fuzes of wires for electrical activation of the mine, three supports, a handle, a ball-type safety, and three support springs. 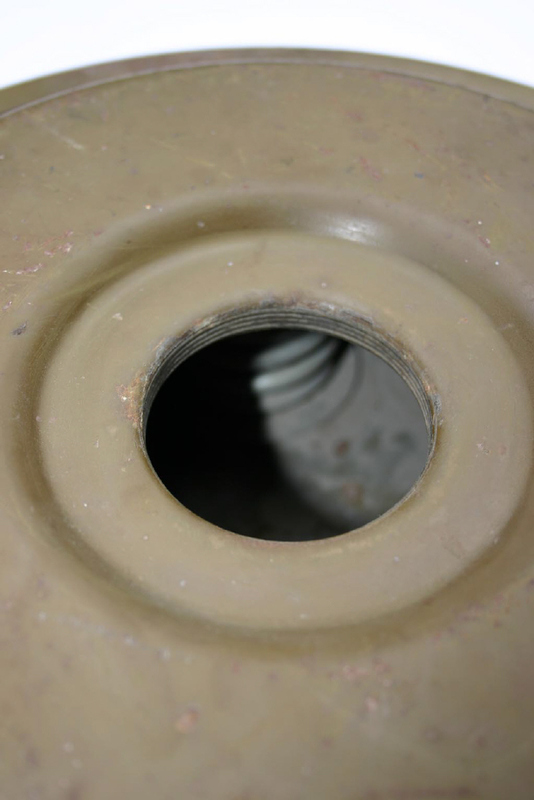 A threaded fuze well is located in the center of the lid. 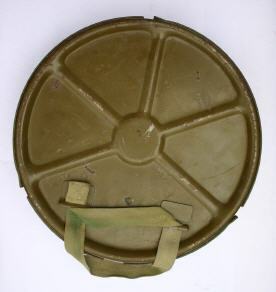 The fuze consists of a shell and a striking mechanism with the SP-60 signal cartridge attached. A pin in the striker mechanism holds it in the cocked position. Two safety pins are inserted through holes in the fuze cylinder and striker shaft. 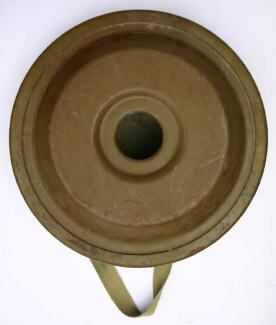 When a tank or vehicle wheel hits the lid of the mine, the springs are compressed so that the lid descends and the fuze contacts the bottom of the container, breaking the safety pin. The pin strikes the friction primer of the signal cartridge, igniting a timing fuze, which three to four seconds later ignites the expelling charge, tossing four flares (two red and two green) 10 to 40 m (3.3 to 131 ft) into the air. The mine can also be actuated electrically by feeding current to an electric blasting cap. The UTM-60 has the great advantages of being reuseable, and of clearly showing actuation by the tank passing over it. 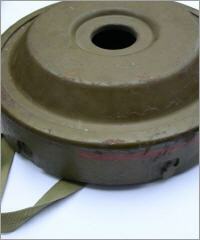 It can also be laid by mechanical minelayers.